In an era when teachers commonly report that up to half of the children in their classes come from multiple homes and have multiple caretakers, the special psychological challenges of stepparenting have never been in greater need of examination. As thoughtful clinicians have long known, stepparenting is among the most complicated of psychological projects: it may simultaneously be a multifaceted burden and a spur to personal autonomy, deepened sensitivity to others, and newfound competence as a nurturer. Among the thousands of divorced people who remarry each year, most - despite their best resolve to live in the present - persist in reassessing the price of separation, especially as they come to appreciate the fact that divorce is seldom a total break for their children. 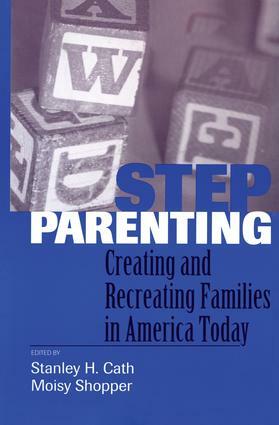 Stepparenting is a comprehensive exploration of the process of reconstructing families. More specifically, it is a book about the perils and promise of stepparenting, a caretaking role that may be more challenging than biologically given child rearing. Contributors follow people as they try to reevaluate past misunderstandings and acclimate to new parenting contexts and obligations. Editors Cath and Shopper have taken pains to offer a balanced purview that includes both successful and maladaptive instances of stepparenting. Of special note are the clincal examples throughout the book that chart the extended periods of slow, creative learning experienced by parents and children, biological and step, as they test the waters of new family systems and try to elicit newly attuned responses from each other.